Summers end- and the garden’s still glowing. Butterflies are feasting on fallen apples. Bats overfly the pond at night. And the borders fair rustle and crunch to the sound of hedgehogs- surely the noisiest visitors to my garden after dark. The garden is still full of colourful blooms. And yet, the season has tipped over the balance. Michaelmas, on September 29th, traditionally signals the beginning of autumn- the shortening of days. My ancestors,who were servants to grand houses, would have been paid, hired or fired on Michaelmas day. And for later generations, who were farmers, Michaelmas signalled the end of the productive season, a completion of harvests. The end of one cycle of growing and the start of a new one. Growing must be in my blood. I can’t be happy unless I am tending and planting food, flowers, fruit and veg. I often wonder if this need for gardening keeps me connected to the past, to those hard working and tenacious ancestors. I remember my Grandfather pointing out the Harvest Moon and speaking of the Autumnal Equinox- Softly spoken words that delighted me. I always had a fascination for such things. 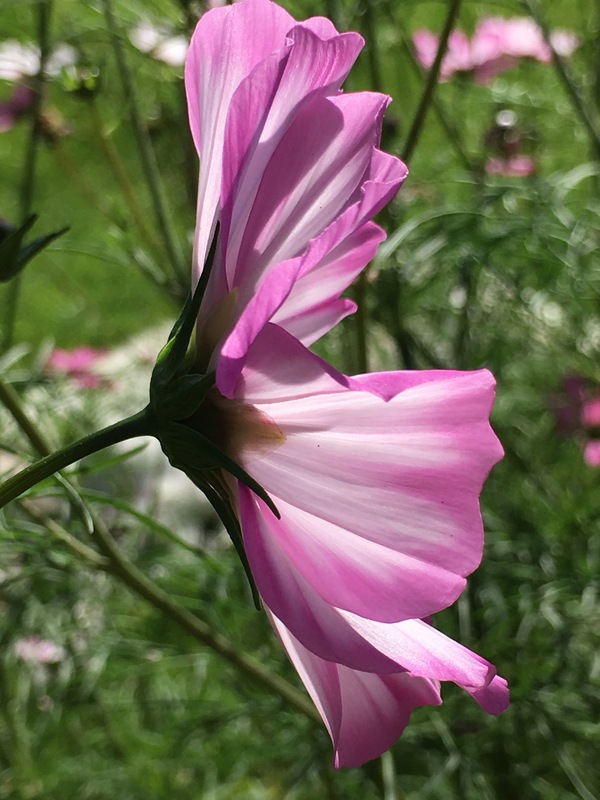 Cosmos plants flower until the first frosts. 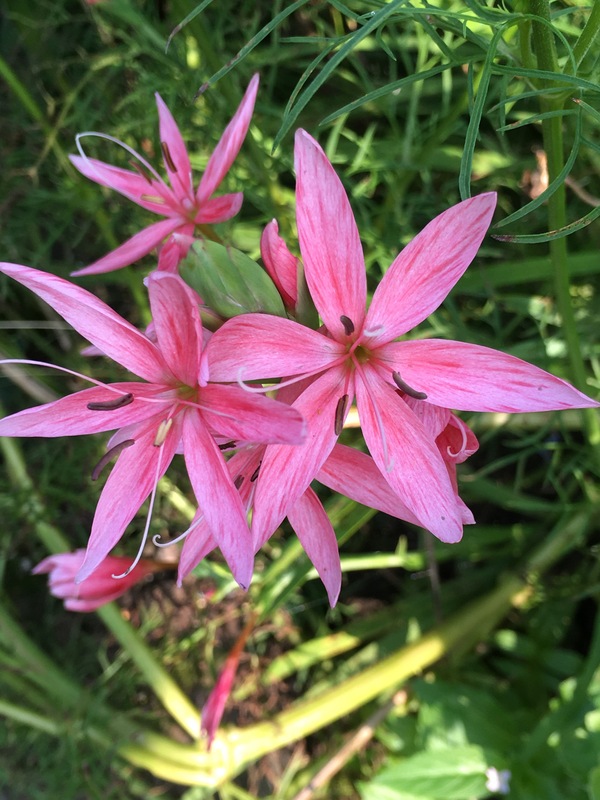 Schizostylis/ Hesperantha coccinea- a September glory. Also known as crimson flag lily. 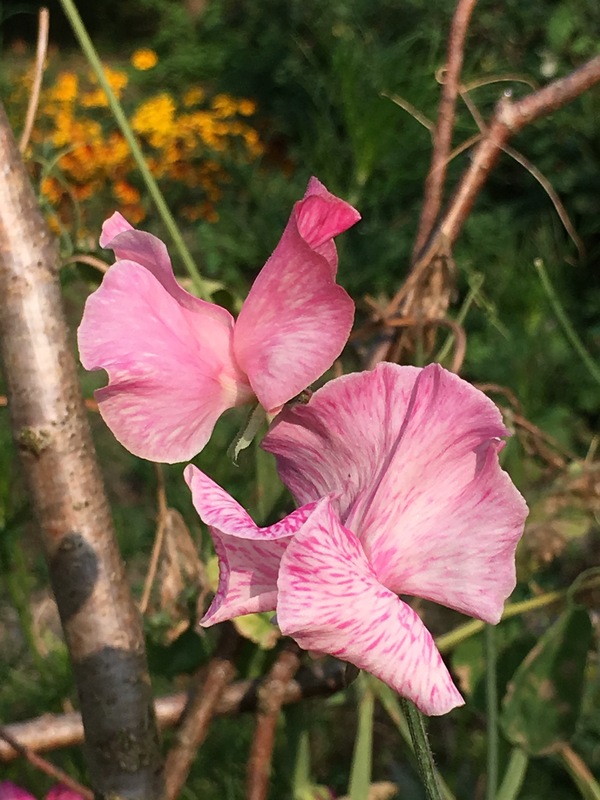 Sweet peas sown late will flower until October. The scent combines with the late summer roses still blooming here. Dahlias left in the ground over winter did much better than potted plants kept in the greenhouse.Slugs seem to like the softer growth of the cosseted plants. 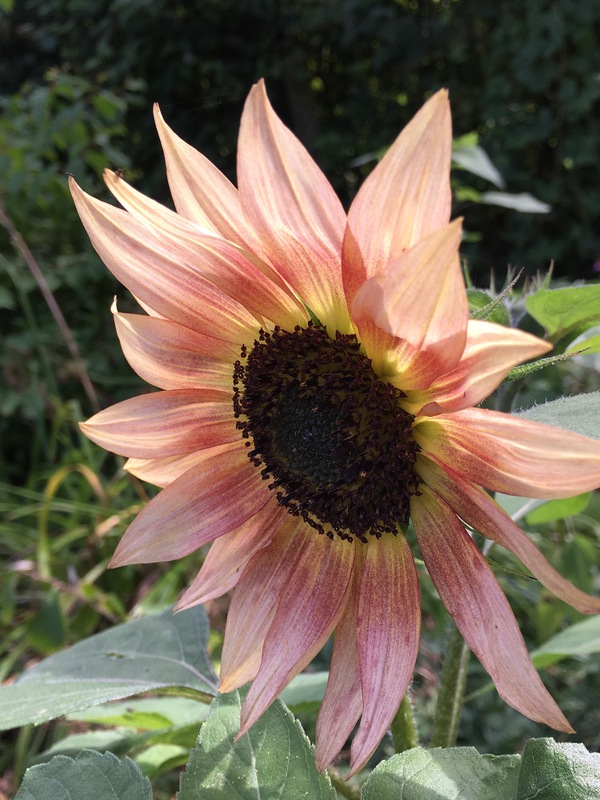 Sunflowers in such sumptuous colours. Seeds for the birds over winter. 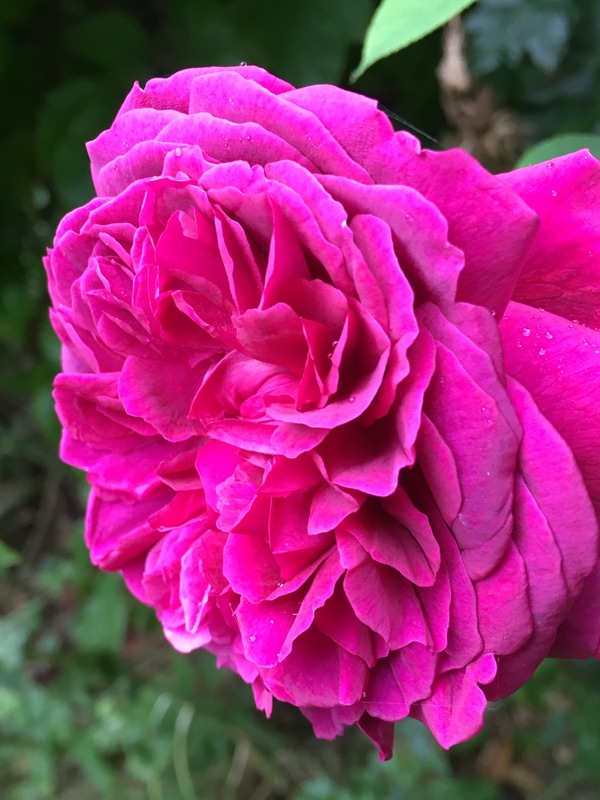 Rosa Shakespeare puts on a good late summer show, and the scent is reminiscent of old moss roses. 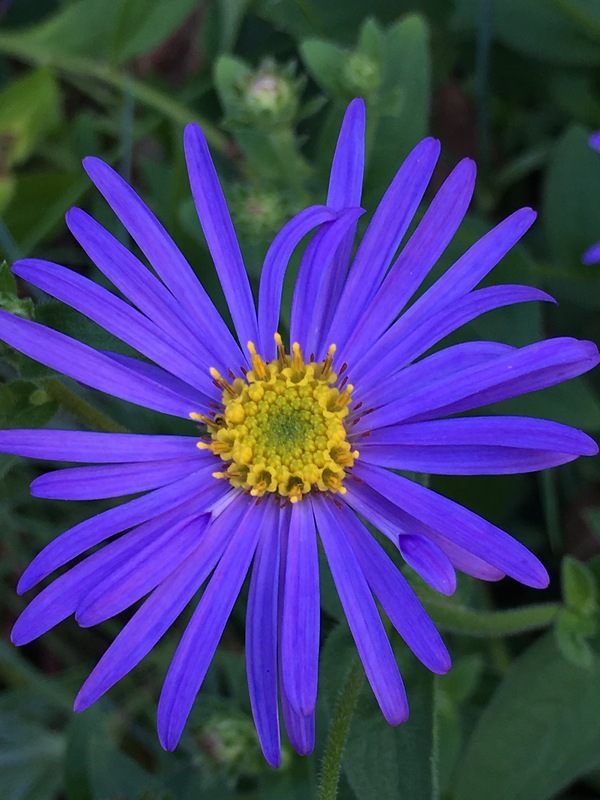 Aster Monch. My favourite -totally reliable and a magnet for bees and butterflies. 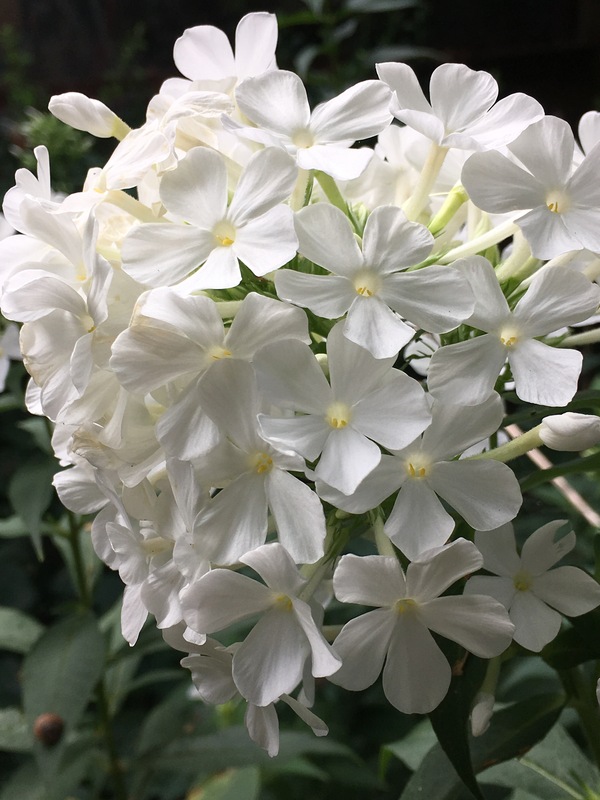 White phlox paniculata. Grown here in deep shade and poor soil at the back of the garage. Such a beautiful scent. A plant that shines out in dark places. 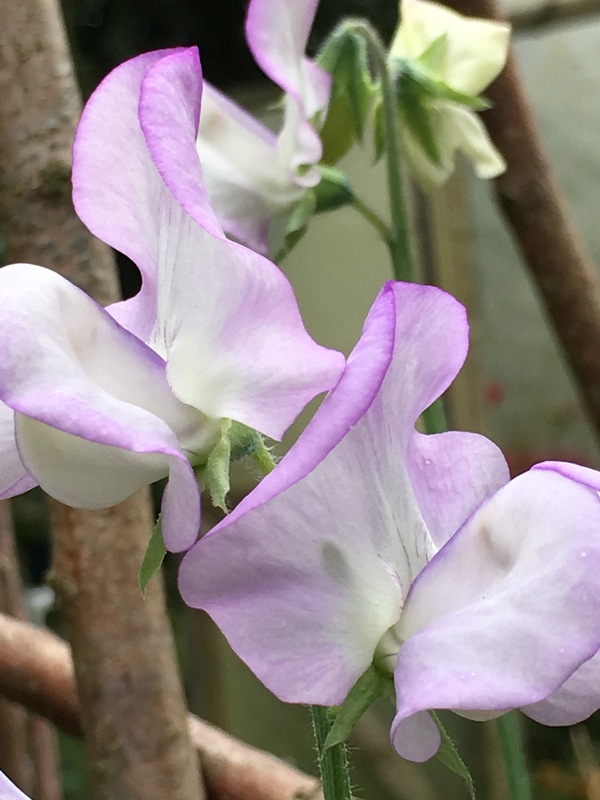 Sweet pea seeds came from Easton Walled Gardens where I had the most dreamy job last winter, promoting the gardens. It wasn’t difficult to say nice things about this glorious historic garden renovation project. Soon my garden will be full of seed heads- and I will treasure them just as much as the flowers that came before. 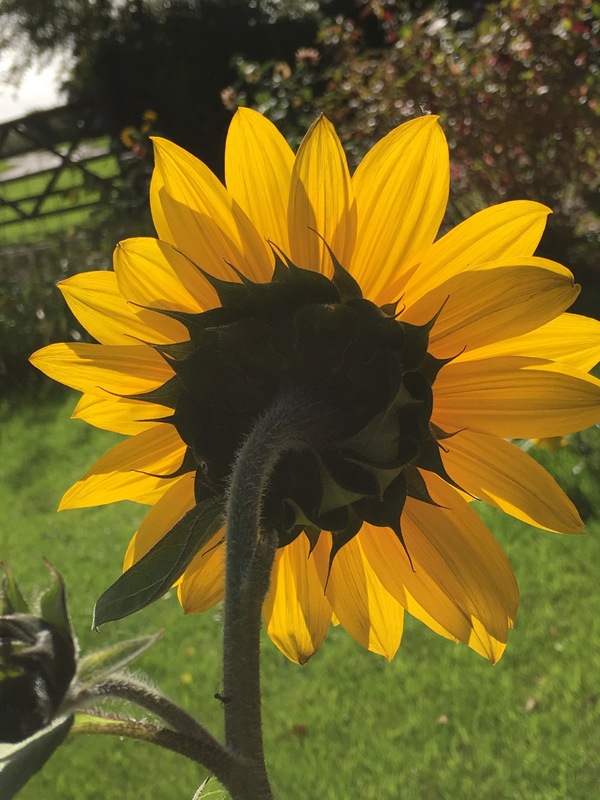 Thanks to Helen for hosting this End of the Month View. Beautiful photos, indeed autumn is holding its breath yet. Wonderful post. thank you for your kind comments. Much appreciated. I’m just hoping it holds its breath a bit longer. 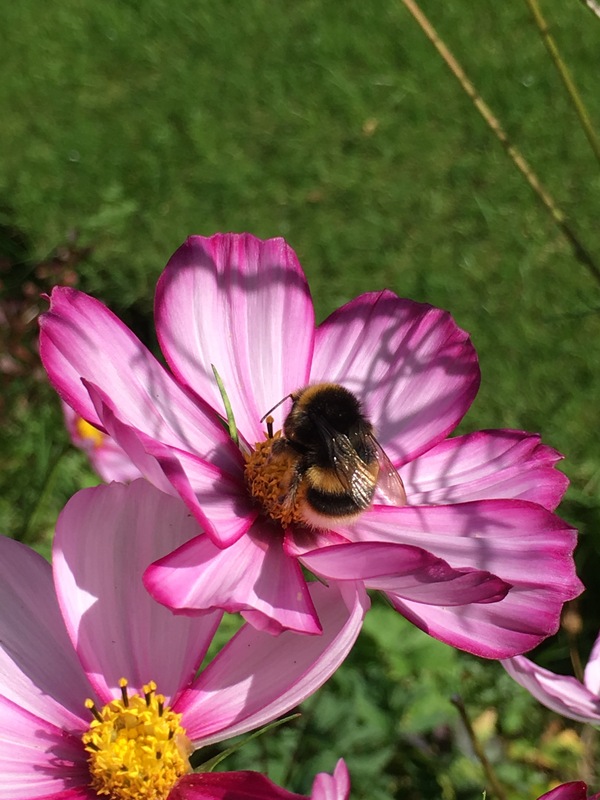 I love these sunny warm days in the garden. Breathtaking photos! It’s getting g cooler here so I’m hoping to see more fall colors. Your flowers are gorgeous!! All are beautiful! I’m in awe with the last one especially! Gorgeous flowers – extraordinary photos! thank you for your kind comments, Eliza. Much appreciated. 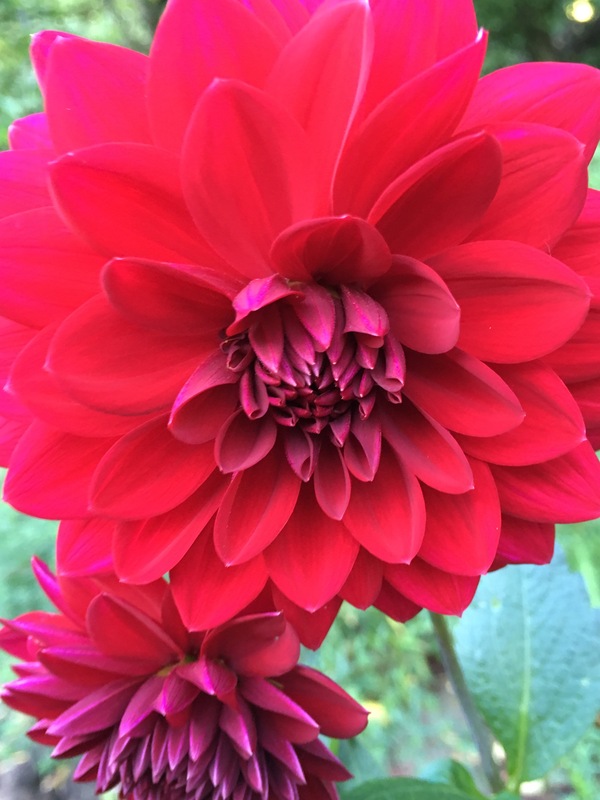 That’s an interesting thought re dahlias. 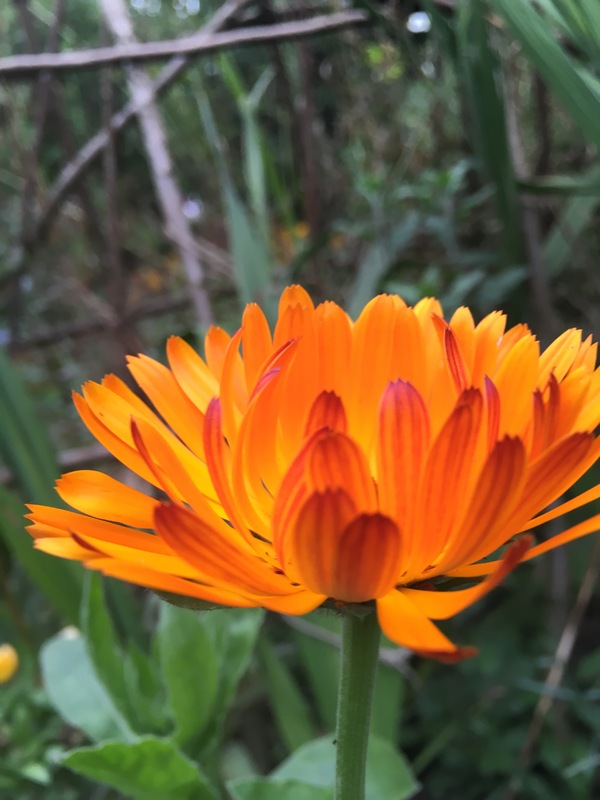 I managed to keep a favoured one under cover over winter, it resprouted beautifully but of course as soon as I planted it out in the border it was destroyed by slugs. Completely defoliated. I’m thinking it is probably mild enough down here to risk it next time. Perhaps I should try and protect them from the worst of the winter wet though. It’s worth a try. Mine are planted at the edge of the orchard, so have overhanging tree branches giving some frost protection. I mulched the dahlia stems with pine needles ( slugs don’t like the resin) also poultry grit, and sheep wool pellets. Sacrificial lettuce nearby. Once they were well grown, the slugs aren’t so interested. Haven’t had to bother with them all summer. Good luck with yours. And thanks for the comments. thank you. That’s so kind of you to say so. Kind comments are much appreciated. 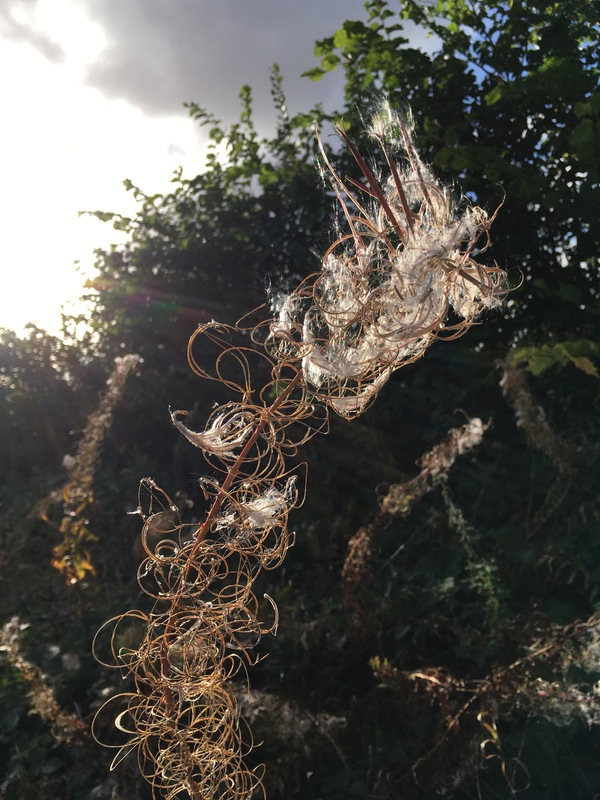 Beautifully written post full of the melancholy that autumn seems to bring out on us all. Thank you Christina. I think we all try to hold on to summer. thanks for your kind comments. Much appreciated. What wonderful pictures of the beautiful flowers. Sunflower on the first picture, I like. Quite beautiful photos and I like the story about your ancestors, I think that connection you have to them with your gardening is cool! Thank you for your kind comments. If I am having a testing time, I just look at my photo album of my ancestors and think of all the difficulties they faced and how rescourceful and determined they were. I soon pick myself up and carry on then. Thanks again for commenting. Much appreciated. I love the Shakespeare rose. It grows quite tall, so I’m constructing a willow and hazel frame for it for next year. Will tie the branches down to make it bush out a bit. I think that white phlox will grow just about anywhere. Such a good do-er. Thanks for your kind comments, I’ve enjoyed reading about your lovely garden too. Your phlox grows in deep shade??? I must try moving some of mine. I love my fall gardens. The asters have faded but the mums are out in all their glory. A few confused phlox and pincushions are hanging on. I just cut some seed heads off of one of my white phlox. I LOVE the huge panicles it grows when given full sun. I realize I may not get the same plant from the seeds however I have grown bright red plants from my bright red phlox, with, alas, is prone to mold but I’ve stayed on top of it all summer. You’re pictures are amazing! I love the angles, variety and colors!